Looking for a Used Titan in your area? CarGurus has 20,422 nationwide Titan listings starting at $3,500. When you step into a Nissan showroom and glance at the 2014 Titan full-size pickup standing regally in the spacious center spot, you may think you’ve traveled back in time to 2004, this big truck’s introductory year. Oh sure, there’ve been some nips here and some tucks there, including a total revamping of trim designations, but essentially the Titan retains the aggressive… if dated… look and the spacious cabin, not to mention the tacky plastic interior and the somewhat lackluster powertrain, of its debut year. For whatever reason, Nissan simply continues to play for the traditional brand loyalty inherent in those who live for their pickup, and hangs the updating and upgrading that have made the Fords, Chevys, Jimmys and Rams so much more desirable overall. Bottom line: Don’t look for any significant changes to the 2014 Titan lineup. In any case, expect this Japanese-designed, Missouri-manufactured throwback to once again sport 4 trim levels, the base Titan S, the up-featured SV, the off-road-ready PRO-4X and the flagship SL. Without a 3-place regular cab trim level, a pair of cab configurations, the King Cab and the Crew Cab remain, each sporting 5- or 6-passenger capability, depending on the trim level, and boasting 4 doors. King Cab trims offer reverse-opening rear doors, while Crew Cab variants sport 4 independently opening doors. 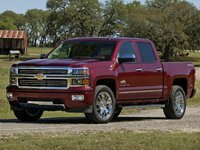 And once again, 3 bed lengths, the standard 6.6-foot bed, the 5.7-foot short bed or the 7.3-foot long bed, should be offered to various trim levels and cab selections. The top-shelf SL, meantime, likely remains available only in the Crew Cab/short-bed version, while the base S is not expected to be available with the long-bed Crew Cab set-up, nor is the PRO-4X. Of course, this hefty Nissan pickup is doubtless delivered with standard rear-wheel drive (RWD) in all editions except the PRO-4X, which gets a standard 4-wheel drivetrain (4WD) that remains optional for all other trim levels. The traditional 4WD system offers shift-on-the-fly transition from RWD to 4WD, with stuff like auto-locking hubs and hi-lo gear selection ready to kick in at the flick of a switch. An electronically locking rear differential additionally makes things a bit easier in those 4WD-toting trim levels when some quasi-serious rock climbing is part of the journey. Again the tried and true 5.6-liter V8 powerplant should return to give the 2014 Titan lineup its go. Mated with the standard 5-speed automatic transmission, this peppy V8 puts out 317 hp and 385 lb-ft of torque, which is good enough to tow up to 9,500 pounds of trailer with the proper equipment. Mileage, however, despite variable valve timing (VVT), doubtless remains a less-than-laudable 13 mpg city/18 highway in RWD variants and an even more deplorable 12/17 in 4WD-equipped trims. Standard appearance and cabin bling for the base S trim level, meantime, is once again expected to be on the spartan side, with 18-inch steel wheels and auxiliary transmission fluid cooling outside, and cloth upholstery, split-folding rear seatbacks, tilt-wheel steering and air conditioning inside. A single-CD player with either 6 or 8 speakers (depending on the cab) is slated to return as well. In the lower-midlevel SV, things should improve a bit with 18-inch alloy wheels, step running boards, a sliding rear window and power-adjustable mirrors adorning the exterior, and full power accessories, cruise control and upgraded cabin appointments added to the inside. The ruggedly handsome and trail-blazing PRO-4X likely will again sport, besides the standard 4WD and skid plates, a Class IV trailer hitch and wiring, power-adjustable driver’s seat, front captain’s chairs (for 5-passenger capacity), a fold-flat front passenger seat, rear parking sensors, a rear-view camera, satellite radio, a USB port and Bluetooth hands-free calling capability. Finally, the high-end SL should come ready to dance with standard 20-inch alloy wheels, leather upholstery, heated power-adjustable front seats, power-adjustable pedals, a remote garage door opener, NissanConnect directions and communications services, and simulated wood cabin accents. Dual-zone climate control is also standard in the top-flight SL, as are memory for driver's settings, an auto-dimming rear-view mirror and a hard-drive-based navigation system with dashboard-mounted touchscreen. And topping it all off is the standard 350-watt Rockford Fosgate premium audio system boasting 10 speakers and separate rear audio controls. Optional equipment for lower Titan trims should continue to include many of the items found standard in higher trims, while the SL trim level can be delivered with an available Texas Titan Package or the Heavy Metal Package, which adds upgraded 20-inch wheels and a bunch of extra chrome to gussy up the already solid exterior. The PRO-4X and SL, meantime, also remain eligible for an available power moonroof and rear-seat DVD entertainment, with all trim levels, except the S, able to be purchased with an available spray-in bedliner and/or a tweaked-out Flex Fuel (ethanol-capable) V8. Safety-wise, look for the 2014 Titan lineup to again carry 4-wheel antilock brakes (ABS), traction and stability control, front and rear head airbags, front side-mounted airbags and active front headrests. SV and higher trim levels also sport a standard remote antitheft alarm, while the PRO-4X and the top-shelf SL additionally boast front fog/driving lights and dusk-sensing headlights, standard. Finally, the SL flaunts standard turn-signal-integrated mirrors as well. 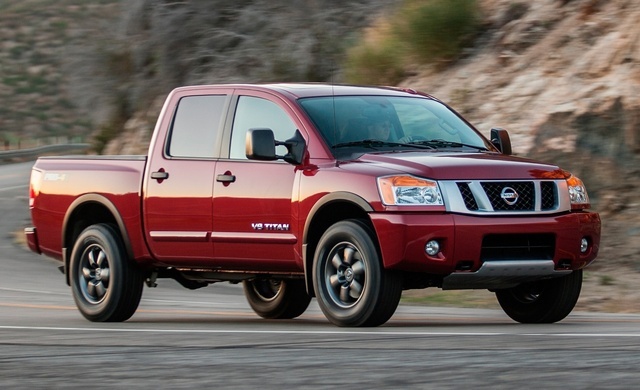 What's your take on the 2014 Nissan Titan? 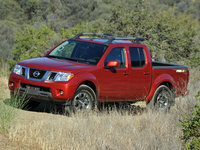 Users ranked 2014 Nissan Titan against other cars which they drove/owned. Each ranking was based on 9 categories. Here is the summary of top rankings. 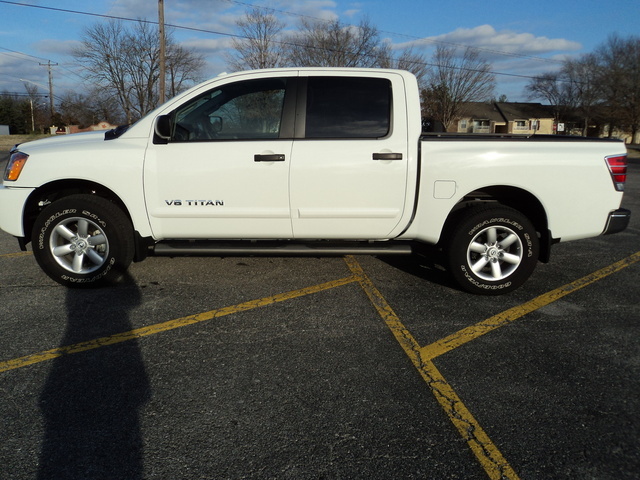 Have you driven a 2014 Nissan Titan?